changed is the fact that customers still need mortgages. Purchasing a home is one of the most important and possibly the largest transactions that you will ever make in your lifetime. 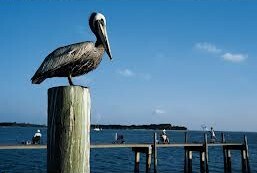 We at Pelican Escrow Services, LLC want to make your experience as pleasant as possible. Because of recent credit tightening, decrease in property values, and limited inventory of houses on the market, some homebuyers may be less likely to qualify for mortgages than they were just a few years ago. Some financial counselors predict that borrowers with limited options will turn back to a century old way of buying a home using non-traditional Owner Financing. Owner Financing is not new. It’s an option used to purchase property where the Seller rather than a third party commercial bank or lender ensures the financing. This arrangement can benefit both Buyers and Sellers. Indeed, public and nonprofit housing advocacy organization have used Owner Financing as a tool to help many households attain homeownership. In Louisiana one popular and successful option of Owner Financing is called a Bond for Deed contract. A Bond for Deed is defined as a Louisiana contract to sell real estate where the purchase price is paid in installments and title is transferred upon the fulfillment of the payments. In other states it is called a “Land Contract” or “Contract for Deed.” Most people relate a Bond for Deed contract to a Lease Purchase, however, there are many distinct differences. 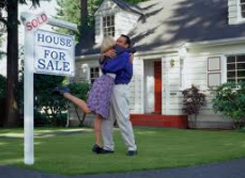 When it comes to real estate, you need relevant information to make the best decision for yourself and your family. 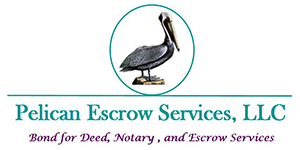 Pelican Escrow Services, LLC is a licensed and bonded Escrow Agent located in Mandeville, Louisiana. As an Escrow Agent, we service Private Mortgages throughout the country and specialize in Louisiana Bond for Deed contracts. We hold money in a secured fund for Real Estate Escrow – Property Taxes, Insurances, Homeowner Association Dues and Home Warranties. Upon opening our doors, we focused primarily on the Greater New Orleans, Baton Rouge and Northshore areas. Over time, we expanded our services by accumulating a portfolio across the state of Louisiana, and now across the US. Our friendly and experience staff will help you navigate any market to find the best possible solution based on your goal. We work with many Realtors, Title Companies, Lenders, and Attorneys to assure you have the best experience as possible. 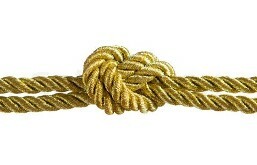 Our objective is to help you achieve your goal, whether buying or selling. We want to build deeper customer relationships! Call us today to start a relationship us! We try our best to schedule your closing when and where it’s most convenient to you, even if you require an evening or weekend appointment! PO Box 181 Mandeville, LA 70470.